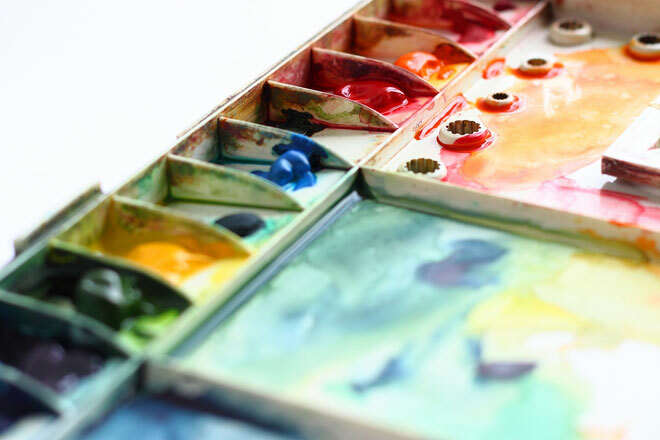 Watercolor palettes are either open or covered by a lid; they may be made from either plastic or porcelain. They are usually designed with paint wells along the outside edges and an open area in the center of the palette for mixing paint colors. In a variety of sizes and shapes, those with lids keep paint clean and fresh and make transporting a palette easy. Porcelain palettes are mostly used in the studio due to their weight and breakability.